Al Bohl climbing back into the boat. Thankfully he saved the chair from drowning. Welcome to the first update concerning the making of the documentary Tarzan: Lord of the Louisiana Jungle. These posts are not the interviews that were videotaped but the story about the interviews and experiences of making this film and book. These offerings will not be in any chronological order. I thought it would be best to start with a splash. What could be more appropriate than me being thrown from a speeding boat into the Bayou Teche. On my third trip to the Morgan City area we had a big day of shooting planned. 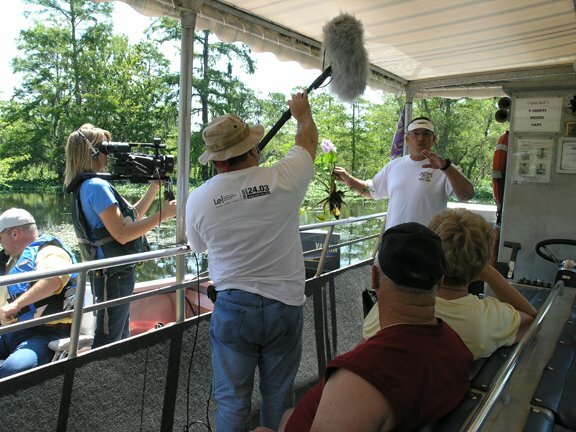 That Saturday morning we were going to interview Cajun Jack, film his swamp tour, then go into Morgan City to film the ferry boat that transports people from Morgan City to Avoca Island and end up shooting B-roll footage of Lake End Park. Allison, my wife Doris and I drove down from Lafayette (90 miles) early and arrived on time at Cajun Jack's Swamp Tour. Jack was the first person I had contacted in St. Mary Parish because his website (www.cajunjack.com) advertised that his tour included the place where the first Tarzan film was shot. He does one or two tours per day and has given the tour to thousands of people. I had been talking with Jack and his producer/girl friend Dawn for quite a while about filming his tour. We were videotaping that June morning at his suggestion. We found his reasoning to be sound because after the spring rains, the river basin was absolutely breathtaking in full bloom. Cajun Jack explaining the beauty of the swamp. Charles Richard is holding the boom mic. 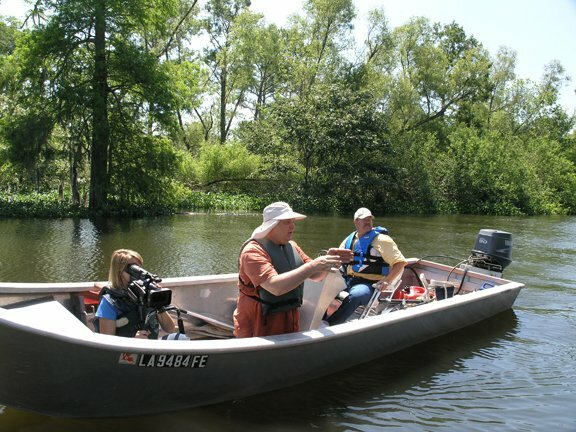 The camera boat was coming down from Baton Rouge so we decided to interview Jack and Dawn first. No one had booked a tour so Jack and Dawn got their friends and relatives to ride for free. I have found that Cajun people are some of the most accepting and generous people on the planet. As we finished taping Jack and Dawn and getting everyone to do their version of the Tarzan yell, the boat arrived. The metal craft was owned by Allen Kirkpatrick, Esq. and accompanying him was Charles Richard who is the head of the Cinematic Arts Workshop at the University of Louisiana at Lafayette. I was prepared. I had thought through the important shots I needed and had even storyboarded them. While Jack and crew prepared to launch, one of the local men went with Allen, Charles and me to launch the boat we would be shooting from. As I got into the boat, I looked around for a life vest. They were stowed away and the local told me that you didn’t have to wear a vest, but just have it in the boat. I found one and put it on. I am not a great swimmer or lucky. 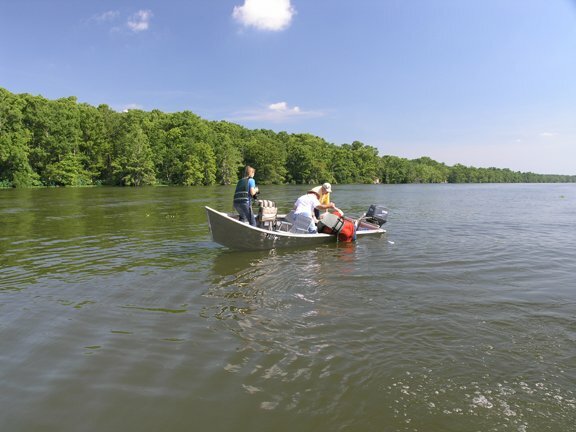 We caught up with Jack's big tour boat and we started down the Bayou Teche towards the Burwick locks that separates the Bayou from the Atchafalaya River. This was the very route that the Tarzan film crew took by steamboat every morning on their way out six or so miles to the set in the summer of 1917. I had a big shot planned where the camera boat came up on the right side of the tour boat. With Allison filming from the front of the boat, we were to drop back slowly, cross the wake and pull up on the left side of Jack. Al is giving direction to Allan Kirkpatrick to pilot his boat for a 360 surround shot. Al’s daughter Allison is Director of Photography on the documentary. Things were going great but we didn’t drop back far enough and the wake from Jack’s powerful twin engines was too much for our boat handle. Our boat dipped right next to me on the left side and we took in a giant gulp of water. In a split-second I had a choice. Stay in the boat and risk flipping the boat over or let the river take me. I chose the latter and hit the water doing 45 mph. I was glad I had the life preserver on but I was still having a problem staying above the surface. In the shock of the moment I didn't realize that I had grabbed the chair I was sitting in and taken it with me. Almost instantly, the padded cushion of the chair absorbed lots of water and was pulling me down. I couldn’t let go because I didn’t want it to surface later and be hit by another boat. As soon as I bobbed up the first time I saw Allison with the camera and I started yelling, "keep filming, keep filming!" The word "Teche" means snake in French and it is the name of the bayou because it winds along like a giant snake. I didn’t give the snakes a chance to catch up to me. I got into the camera boat. Jack had taken an about-face and pulled up beside of us. We dipped all the water out and went ahead with the shoot. Naturally, everyone in our boat suddenly found it useful to wear a life jacket. In June, the basin is high so we didn’t see any land around where the film was shot. This is the big crawfishing season and the local Cajuns were out hauling in their crops. Alligators were everywhere and active because it was mating season. People have asked me if I was concerned a 'gator would get me in the Teche. Alligators can't see very well and they use vibrations to find their meals. This keeps them in the backwaters and not in a flowing bayou or river. If I had fallen out up the basin, it might have been a different story. After we returned, we headed into Morgan City. It used to be called Tiger Island (no tigers) but the city is an island. As we headed to the Southside I received a call from Ulysse Dumesnil who is the Public Works Supervisor in St. Mary Parish. He informed us that the ferry had been hit by a large ship and was out of commission for a week or so. Allan Kirkpatrick felt the water was too high and running too fast for his boat to handle it in that area anyway. This ferry goes to Avoca Island where some of the scenes were shot. It is also where the sugar cane plantations were that a majority of the 300 to 800 African-Americans were found to portray the natives in the film. for the climax of the Tarzan film. Close to 800 African-Americans played natives in the film. Undaunted we shot some B-roll in downtown Morgan City on Front Street. Smilin' Bill Parsons set up his on-site studio, offices and millworks in the Shannon Building at the corner of Front and Everett. The Shannon Hardware is still there. This is where the 40 or so ape costumes were sown and fabricated for the circus acrobats and New Orleans Athletic Club gymnasts to wear. We taped the bridges, landmarks and more around town. 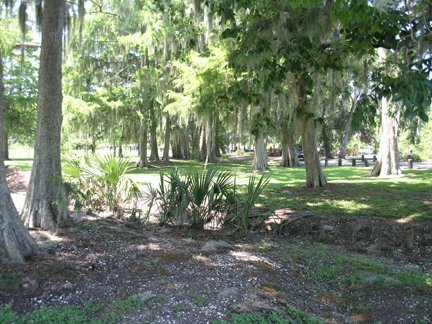 Finally, we drove to the Northeast corner of Morgan City to Lake End Park. The park was so full of people that we couldn’t park inside the grounds. It was just a normal Saturday but that was a happening place. People were everywhere in tents, grilling, swimming, and "sunning" themselves. Sunning is an old southern term for getting a tan. Someone asked if they were going to be on TV. We told them we were making a Tarzan documentary. Several intoxicated people enjoyed giving their best efforts in performing the cry of the great bull ape. 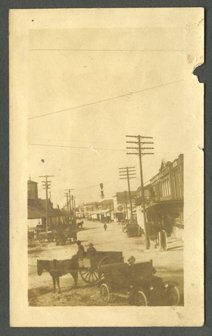 The park has been cleared and maintained for the public, but Morgan City has always been a magnet for hurricanes. Close to 40 hurricanes have hit the area since 1918. At the time of shooting the film there was still a lot of vines and jungle growth. Elmo Lincoln who played Tarzan in the film commented that he liked the fact that so many large trees were bent over for him to run along instead of having to climb up. Well, that is the story behind the scenes for this exciting installment. As they say, "a good time was had by all."